The upcoming celebrations of the first ever global ‘Ardbeg Day’ come at a time when there is unprecedented interest in the single malt category in Australia, according to the whisky’s new brand manager, Damon Ross-Walker. 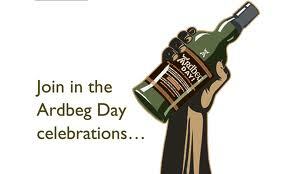 Ardbeg Day will be celebrated on June 2, with Olympic-themed parties happening across the globe inspired by the London 2012 games that will follow in July. Ross-Walker, who recently joined Moet Hennessy Australia as brand manager of Ardbeg, Hennessy and Glenmorangie, told TheShout that Australian consumer appetites for single malt Scotch whisky have never been stronger. “The single malt category is definitely a growth category, we’ve seen that for a couple of years,” he said.